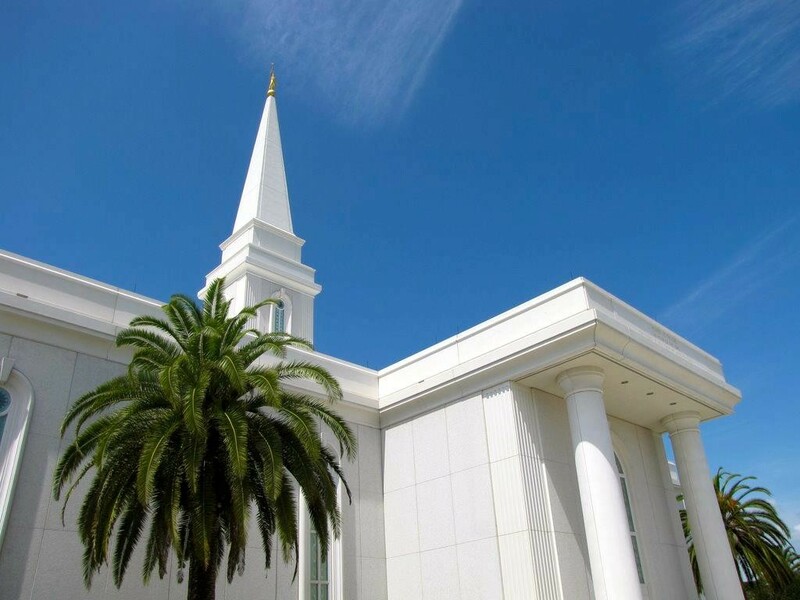 One of my favorite temporal/practical things the LDS Church is doing recently is making more energy-efficient buildings. This is not a new philosophy or theology or practice of the Church, we just are living in a time when it is starting to be cost-effective to have energy efficiency as a goal in architecture. “H. David Burton, presiding bishop of the Church, said, ‘For decades we have looked for innovative ways to use natural resources in our meetinghouses that reflect our commitment as wise stewards of God’s creations. '” A new meetinghouse was recently built in Mesa, Arizona that includes an array of solar panels on its roof to help offset energy costs. Not only that but it also includes a number of other features that reduce electricity use, water use, and waste. It’s a combination of technology, conservationism, and religion. Just like all we’ve been given by our Father, we are asked to be wise stewards – to take care of, nourish, and nurture – of the earth. Just like we would not abuse other people, ourselves, or animals, we should not abuse the earth. It is God’s creation and we are not to treat it lightly. This does not mean that we cannot use it, it is for our benefit, but we need to be wise in our use of the earth and its resources. This transcends political ideology. Church spokesmen are talking about reducing carbon emissions or “footprint”, which often is a politically-charged term but using that term or worrying about carbon footprint does not change the underlying principles of these energy efficient meetinghouses. The LDS Church is trying to do its part to use resources more effectively while taking care of the earth. Will these meetinghouses be built en masse? It’s possible if they turn out to be viable solutions in certain areas. While solar panels will not work in all locations, there are other principles of conservation that will work in many locations. While touring the Atlanta Temple last week, we saw some of the enhanced efficiencies of the temple, including efficient laundry appliances. These are all wonderful steps in improving our use of the earth. We have been commanded to be wise stewards: “All things which come of the earth, in the season thereof, are made for the benefit and the use of man, both to please the eye and to gladden the heart; yea, for food and for raiment, for taste and for smell, to strengthen the body and to enliven the soul. And it pleaseth God that he hath given all these things unto man; for unto this end were they made to be used, with judgment, not to excess, neither by extortion.” (D&C 59:18-20). The Saints have been promised an inheritance of the earth if they are righteous: “And I have made the earth rich, and behold it is my footstool, wherefore, again I will stand upon it. And I hold forth and deign to give unto you greater riches, even a land of promise, a land flowing with milk and honey, upon which there shall be no curse when the Lord cometh; And I will give it unto you for the land of your inheritance, if you seek it with all your hearts. And this shall be my covenant with you, ye shall have it for the land of your inheritance, and for the inheritance of your children forever, while the earth shall stand, and ye shall possess it again in eternity, no more to pass away.” (D&C 38:17-20). If the earth is the Lord’s footstool, we should treat it well. We should not abuse it. Even if the earth shall be renewed at a future date (see D&C 29:23, for example), we do not have free reign to use with excess. How do we do this? Do we limit human population as many propose? No. As Pres. Packer said recently, “And the Gods said: ‘We will bless them. And … we will cause them to be fruitful and multiply, and replenish the earth, and subdue it.‘ This commandment has never been rescinded.” (Oct. 2010 General Conference). There are enough resources for everyone. “For the earth is full [of resources], and there is enough and to spare; yea, I prepared all things, and have given unto the children of men to be agents unto themselves.” But we need to share with others and not horde or abuse what we have: “Therefore, if any man shall take of the abundance which I have made, and impart not his portion, according to the law of my gospel, unto the poor and the needy, he shall, with the wicked, lift up his eyes in hell, being in torment.” (D&C 104:17-18). Jesus taught on this principle: “Then said Jesus unto his disciples, Verily I say unto you, That a rich man shall hardly enter into the kingdom of heaven. And again I say unto you, It is easier for a camel to go through the eye of a needle, than for a rich man to enter into the kingdom of God. When his disciples heard it, they were exceedingly amazed, saying, Who then can be saved? But Jesus beheld them, and said unto them, With men this is impossible; but with God all things are possible.” (Matt. 19: 23-26). Jesus taught at least two important things with this. 1) Rich people have a very hard time entering the kingdom of heaven. 2) People cannot save themselves but God can save them. Actually, if we read these verses more closely we see that Christ was not just talking about rich people having a difficult time entering the kingdom of heaven; His disciples asked, “Who then can be saved?” Why would they ask this if Christ was talking just about rich people? They wouldn’t. So while the Savior stressed the difficulty that rich people have, it is the same difficulty that we all share; namely, we are unable to save ourselves. “And having food and raiment let us be therewith content. But they that will be rich fall into temptation and a snare, and into many foolish and hurtful lusts, which drown men in destruction and perdition. For the love of money is the root of all evil: which while some coveted after, they have erred from the faith, and pierced themselves through with many sorrows. But thou, O man of God, flee these things; and follow after righteousness, godliness, faith, love, patience, meekness…. Charge them that are rich in this world, that they be not highminded, nor trust in uncertain riches, but in the living God, who giveth us richly all things to enjoy; That they do good, that they be rich in good works, ready to distribute, willing to communicate; Laying up in store for themselves a good foundation against the time to come, that they may lay hold on eternal life. (1 Tim. 6:8-11, 17-19). There are many temptations that afflict the rich that do not afflict those who are not rich (conversely, there are temptations that afflict the poor that might not afflict the rich). But notice the terminology: “they that will be“, not “they that are“. I really think Paul was focusing on people who may or may not have a lot of money but who love money and will do anything they can to get more of it. That is where the problem is, in the people who worship money. If wealthy people love their money, much evil will ensue. A camel cannot fit through the eye of a needle, it’s hard enough to get a thread through one! And yes, when Jesus said “eye of a needle” he meant a needle and not some gate into the city. So wealthy people have a difficult time entering the kingdom of heaven. Why is this? One thing that heaven requires is consecration. You have to give up all you have for the cause of the Lord. Wealthy people oftentimes have a difficult time letting go of their money (which is what happened in the context of Jesus talking about camels and needles). Money also brings pride. Pride brings love of money. Pride is the great sin. Loving money leads to much evil. I’ve seen a number of families and individuals destroyed because of fights over money. The only way to counteract this is to trust in the living God. So is there any way for wealthy people to be saved? Yes. They need to trust God and make sure that their money is clean. That’s what Pres. Kimball said, “Your dollars are clean [because they were not earned on the Sabbath day]. They will surely not hinder you in finding your way into the kingdom of God.” In other words, filthy lucre is a curse, clean money is not a hindrance (notice he also didn’t say that clean money was a boon either). We need to invest more in heavenly things than in earthly things. We need to invest in the Church and in the Lord. Only the Lord provides eternal returns.